Rugby union in Japan is a popular sport. Japan has the fourth largest population of rugby union players in the world and the sport has been played there for over a century. There are 125,000 Japanese rugby players, 3631 official rugby clubs, and the Japan national team is ranked 10th in the world. Rugby union in Japan is governed by the Japan Rugby Football Union. The Japan Rugby Football Union was officially formed on 30 November 1926, and became a full member of the International Rugby Board (with one seat on the Executive Council) in 1987, just before the 1987 Rugby World Cup. It is also a founding member of the Asian Rugby Football Union. Before the arrival of rugby, Japan was home to a game known as kemari (Japanese: 蹴鞠), which in some ways was a parallel development to soccer, and to a lesser extent rugby football. It is said that kemari was introduced to Japan from China in about 600, during the Asuka period, and was based upon the Chinese sport of cuju. The object of Kemari is to keep one ball in the air, with all players cooperating to do so. The ball, known as a mari, is made of deerskin with the hair facing inside and the hide on the outside. Kemari has been revived in modern times, and the players still wear the traditional costumes for the game. Like many Western customs, rugby football reached Japan quickly - it was being played there less than three decades after the USA employed "gunboat diplomacy" forcing Japan to open its border, and when it arrived, the Japanese took to it with alacrity. Some Japanese prized the game's values, seeing in them almost an expression of bushido's chivalric values. 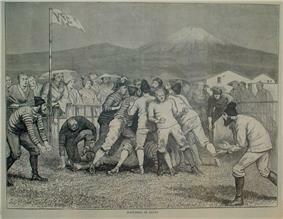 The first recorded instance of rugby being played in Japan was in 1874, when British sailors staged a game in Yokohama. Other games were played at Yokohama, and the other treaty ports such as Kobe between teams of long-term foreign residents and visiting ships' crews, garrisons etc., but they rarely involved indigenous Japanese people. It was officially introduced to Japan in 1899, to students at Keio University in 1899 by Professor Edward Bramwell Clarke (who was born in Yokohama) and Ginnosuke Tanaka (田中 銀之助). Both Clarke and Tanaka were graduates of Cambridge University. Japanese rugby only started to grow in the 1920s. Clarke taught English and coached rugby at Keio from 1899 to 1910, after which an injury to his right leg forced him to give up playing. "seemed to have nothing to occupy them out of doors in the after-summer and after-winter days. Winter baseball had not yet come in, and the young fellows loitered around wasting the hours and the lovely outdoor weather." The universities of Meiji, Keio and Waseda became strong centres for the game in Japan, and indeed the Keio vs Waseda match has been running annually since 1924. In 1901, Keio University played "Yokohama Foreigners" losing 35-5, but the game demonstrated that the racial barriers in the sport were breaking down. Prof. Clarke played in this game, taking the conversion, after a student called Shiyoda scored a try. The JRFU published a pamphlet about that time called The Land of the Rising Scrum. (a pun on the country's Japanese name, "Nihon", meaning "Land of the Rising Sun"), and the Japanese Royal Family have been keen supporters of the game for many decades. From Keio, Japanese rugby swept to the other universities of Japan, and to this day, they remain a stronghold of the Japanese game. Doshisha and Waseda played the first inter-university game in 1923. The growth of Japanese rugby in the early 20th century was astronomical - by the 1920s, there were nearly 1,500 rugby clubs, and more than 60,000 registered players, which meant that its resources were larger than those of Scotland, Wales and Ireland combined. Despite these extremely impressive figures, Japanese rugby was extremely isolated, and to an extent insular - the first rugby tours to Japan did not occur until the 1930s. 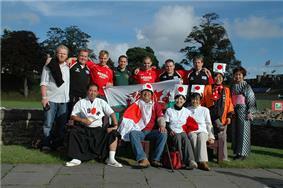 Japan and Canada, had the first tour outwith the main "traditional" rugby playing nations. Japan toured British Columbia in 1930, and Canada went on a tour of Japan in 1932. Canada won 5/6 of their first matches in Japan, before being defeated 38-5 by the Japanese national team, in front of a crowd of 25,000 on 31 January 1932. The Canadian team had been brought over by a trade delegation. The Canadians ascribed their defeat to, "excessive entertaining, too many games in a short period, and the inspired play of the Japanese in front of the assembled nobility of Japan." 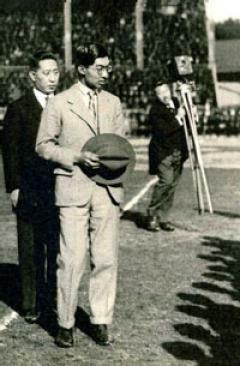 Prince Chichibu, younger brother of Hirohito was a keen sportsman, and helped promote rugby in Japan. After World War II, skiing, rugby and other sports. He was "converted" to rugby after, JRFU president, Shigeru Kayama returned from a long sea voyage and was able to "market" the game to Prince Chichibu. He attended Oxford University, but was only there for one term, and had to return when his father, the Emperor Taishō died. In Japan, his interest was further strengthened when he saw Keio play Waseda. 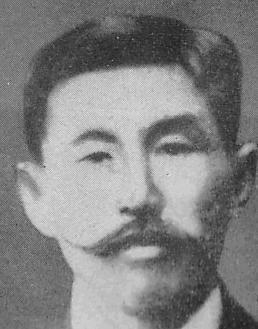 He became president of the JRFU himself in 1926. After his death, the Tokyo Rugby Stadium in Kita-Aoyama 2-chome was renamed Chichibunomiya Rugby Stadium (秩父宮ラグビー場|Chichibunomiya Ragubī-jō). A statue of Prince Chichibu in a rugby uniform was erected there. In the later 1930s and early 1940s, the Fascistic Japanese regime tended to be hostile to the game, as it was seen as particularly foreign, despite the fact that the Japanese royal family continued to support the game. As a result, rugby was rebranded tokyu, meaning "fighting ball". The consequences of World War II would leave many Japanese players dead, with bombing destroying much of its physical infrastructure. However, games continued during the Second World War until 1943, when military control of pitches, and the lack of available players took their toll. Japanese rugby made a surprisingly speedy recovery in the post-war period, despite massive damage to infrastructure, and the death of many players. In September 1945, less than a month after the end of the war, an advertisement for rugby players in Hokkaido managed to draw no less than fifty people to a meeting. On 23 September 1945, the first post-war schools match was held in Kyoto. Kobe Steel encouraged the game amongst its workers at the end of 1945, believing it would raise their morale, and set a precedent for the later heavy corporate involvement in Japanese rugby. In the 1950s, Japan was toured by two of England's major university sides. Oxford University toured Japan in 1952, and 1956, and Cambridge University toured there in 1953. In 1959, a combined Oxbridge side toured the country. The Junior All Blacks also toured in this period. Japan beat the Junior All Blacks 23-19 in 1968 after losing the first four matches on a tour of New Zealand, but they won the last five. "easier to pick the ball up, pack down low in the scrum, and generally move around more quickly. This is where our strength is, and we have to play to it." The Japanese (coached by Waseda University Professor Onishi Tetsunosuke) lost by just 3-6 to England in Tokyo on 29 September 1971 in the RFU's centenary year. The first tour by Japan of Great Britain was in 1973. Despite Japan's vast playing resources, it has a major problem in the lack of pitches, since Japan is highly urbanised and land is at a premium in the country. This sometimes results in a pitch being used for games from 6 am to late at night. Japan also has a praiseworthy lack of violence and thuggery in its rugby; according to legend, a game between army sides in 1975 got out of hand, resulting in both units being disbanded, the commanding officers sacked, and every player being banned sine die. Supposedly, there has been no problem since. The Japanese team are known for their speed and resourcefulness but have sometimes been at a disadvantage due to their smaller size compared to Southern hemisphere and European players. This is changing, however, as the Japanese diet increasingly includes more meat at the expense of fish and resembles Western diets more closely. (As Japan is the nation of sumo, there is no obvious reason why they cannot produce large rugby union players.) As a result perhaps, Japan have not performed too well in the top ranks of the international game. They have qualified for every world cup, and won nearly every Asian Championship, despite some strong challenges from South Korea, but they have hardly ever beaten the main teams. 1990 was a high point - they beat a Scotland XV, which was the national side in all but name. In the world cups, their only victory was over Zimbabwe, who had qualified partly as the African representative (South Africa was excluded due to their racist apartheid regime). There is also a statue of a scrum capped rugby player outside the Olympic Stadium. Statues of sports people are relatively rare in Japan. Japan gave Wales a fright in losing by a slim five-point margin, 24-29, at Cardiff Arms Park on 2 October 1983. On 28 May 1989 a strong Japan coached by Hiroaki Shukuzawa defeated an under-strength Scotland, missing nine British Lions on tour in Australia, for the first ever time at Chichibunomiya rugby stadium, 28-24. The Japan team included such Kobe Steel stalwarts as centre Seiji Hirao (captain), and locks Atsushi Oyagi and Toshiyuki Hayashi (38 Japan caps and a member of Oxford University's all-time best XV). Sinali Latu at No. 8 was then a fourth year student at Daito Bunka University, and speedy Yoshihito Yoshida on the wing (no. 14) was a third year at Meiji University. Scotland missed an incredible seven penalties and refused the kicking tee which was generously offered - as a surviving video of the game shows. It was almost the same Japanese team which defeated Zimbabwe in the 1991 Rugby Union World Cup. The Japanese have traditionally been strong proponents of amateurism in rugby union, but it should be pointed out that traditionally many of their teams have been run by major corporations, and that the players as employees of these companies were guilty of a form of "shamateurism". In the 1970s, large numbers of gaijin started playing in Japan, in corporate teams. However, Japanese rugby was by no means alone in this regard in the pre-professional era. A major example of this phenomenon was the "Wallaby" Ian Williams who played for Kobe Steel. Williams estimated in 1994, that there were 100 gaijin playing rugby in Japan, receiving double the local wage, and he thought that maybe as few as half a dozen had "real jobs". As late as 1995, Shiggy Konno wrote in a 1995 memo to the IRB that "I am not assured that our instructions have been kept [concerning professionalism]." Other top international players in Japan, including the Tongan international Sinali Latu have ended up playing for the Japanese national side, while a whole range of top internationals such as Norm Hadley and Joe Stanley have become employees of various Japanese companies. A notable Japanese proponent of amateurism was Shiggy Konno, who was educated in the UK. In the 1990s, a Pacific Rim contest including the USA, Canada, Japan, Hong Kong, Tonga, Fiji, Samoa, and Argentina (which has no Pacific coast) was going to be held, but was aborted after the $2 million sponsorship for the contest could not be found. Japanese training methods have been criticised for focussing more on discipline than initiative. One common drill is the "run pass", which involves players running the length of the field and exchanging passes, often for as long as an hour or more. The former Japanese prime minister, Yoshirō Mori (森 喜朗) played at Waseda University and developed a passion for it there, though he was never a high-level player. 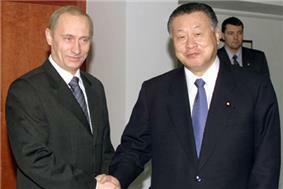 In June 2005, he became President of the Japan Rugby Football Union and it had been hoped his clout would help secure the 2011 Rugby World Cup for Japan, but instead the event was awarded to New Zealand in late November 2005. This led former Mori to accuse members of the Commonwealth of Nations of "passing the ball around their friends." The 2019 Rugby World Cup will be held in Japan, the first time in Asia. Once when Mori discussed his relationship with the other parties in the ruling coalition, he stated, "In rugby, one person doesn't become a star, one person plays for all, and all play for one." At a special IRB meeting held in Dublin on 28 July 2009, Japan was announced as the host for the 2019 Rugby World Cup. along with the host of the 2015 Rugby World Cup. In addition to the nine venues located in Japan, one venue each from Singapore and Hong Kong have also been proposed to host five matches respectively. In 2003, the Top League was created to improve the overall standards of Japanese rugby union. It is Japan's first nationwide league and is a first step towards professionalism. So far the league is proving to be successful with many closely fought and exciting games, though attendances at games are generally not high and tend to be limited to diehard fans and company employees. See also 2010–11 Top League. This is played at the end of the season and includes Top League teams, the top two universities and the champion club team. The Microsoft Cup is a Japanese knockout rugby tournament sponsored by Microsoft Japan. It is played between the top teams of the Top League. The Japanese University rugby championships are held annually. The fifteenth annual clubs championship final was held on 17 February 2008 at Chichibunomiya between Tamariba Club and Rokko Seahawks and won by the former 21-0. The winner (Tamariba) will enter the first round of the All-Japan championships. The National High School Rugby Tournament is held annually at Kintetsu Hanazono rugby stadium in East Osaka, from the end of December to early January. All 47 of Japan's prefectures are represented, with four extra teams (one from Hokkaido, one from Tokyo, and two from Osaka prefecture) to make up the numbers. It is a highly successful national schools championship, with over 1,200 teams competing. With Asia's relative weakness at rugby union, Japan struggles to get serious competition. The result is that Japan is caught in the middle: a big fish in the small pond of Asian rugby union, but still at present a relative minnow in the vast ocean of international rugby union. The national team is also usually reinforced for the World Cup by one or two foreign-born players who qualify under IRB regulations. Of these Andrew Miller and Andrew McCormick, both from New Zealand, and Sinali Latu from Tonga have been the most successful. Japan have played in every Rugby World Cup since the inaugural tournament in 1987. They will host the tournament for the first time in the 2019 Rugby World Cup. Despite their multiple appearances in six tournaments so far, they have recorded just one victory, a 52 points to 8 win over Zimbabwe at the 1991 tournament in Belfast under coach Hiroaki Shukuzawa. The Super Cup was an annual international rugby union competition contested by national teams from Canada, Japan, Romania and United States. It was previously known as the Super Powers Cup, and has now been replaced by the IRB Nations Cup. Japan won the tournament in 2004. The Pacific Nations Cup is an international rugby union competition held between six Pacific rim sides; Fiji, Japan, Western Samoa, Tonga, Australia A and New Zealand Māori. The Junior All Blacks (New Zealand's second XVs, not an underage team) used to compete in it. The Asian Five Nations is a new competition to develop rugby in Asia, starting in 2008. Details of the 2008 competition are here. The 2011–12 season of the IRB Sevens World Series, an annual circuit featuring men's national teams in rugby sevens, saw the debut of the newly created Japan Sevens tournament. 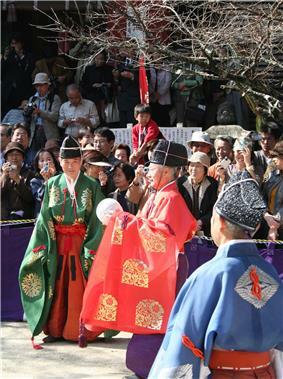 The event is scheduled over a weekend at Chichibunomiya; the first edition straddled March and April. As a team sport rugby union is a distant third in the popularity ratings behind baseball and football, and this reality is unlikely to change until Japan's national rugby union team becomes consistently successful on the world stage, especially at the Rugby World Cup. Nevertheless, the sport is considered to have potential as its current number of registered players (125,000) matches the player numbers of some of the top rugby nations. Rugby is occasionally mentioned in Japanese popular culture. School Wars: Hero (スクール・ウォーズ／ＨＥＲＯ, sukūru wōzu hero) (2004, dir. Ikuo Sekimoto) is set in an industrial high school in 1974 Kyoto. Devastated by campus violence, most of the teachers interact as little as possible with the students, but a physical education teacher, who is a former Japan player believes he can constructively channel the teens' anger by forming a rugby team. Despite internal conflicts and setbacks, the team begins to bond, forming a type of family relationship most of them have never known and a national championship may be within their grasp. It is based on the story of a traditionalist coach, Mr Yamaguchi, at Fushimi Technical High School and his battle against teenage delinquency. In the manga, More Ryuunosuke (episode 108) an alien invasion is foiled when the extraterrestrials make the mistake of arriving during a rugby match. "Sports Drink Rugby" is a soft drink inspired by the sport. An episode of the anime Full Metal Panic? Fumoffu has protagonists Sousuke Sagara and Kaname Chidori charged with training the rugby team of their school for an upcoming game; because the team has been losing their matches in a consistent basis, should they lose, the rugby club would have to disband. When Sousuke takes over training duties, he uses typical Army training to turn the otherwise overtly delicate players into ruthless, cold-blooded "killing machines", allowing the team to dominate the game and thus, keep the rugby club functioning. Bath, Richard, ed. (1997). Complete Book of Rugby. Seven Oaks. Rhys, Chris, ed. (1984). Book of Rugby Disasters & Bizarre Records. Century Publishing. Jones, John R; Golesworthy, Maurice (1976). Encyclopedia of Rugby Union Football. London: Robert Hale. Nish, Alison (1999). "Britain's Contribution to the Development of Rugby Football in Japan 1874-1998". Britain & Japan: Biographical Portraits III. Japan Library. Richards, Huw (2007). A Game for Hooligans: The History of Rugby Union. Ultimate Encyclopaedia of Rugby. Carlton Books. 1997. ^ "Tanaka, Ginnosuke Gisei (TNK893GG)". A Cambridge Alumni Database. University of Cambridge. ^ "England will host 2015 World Cup". ^ "Japan joins expanded HSBC Sevens World Series" (Press release). International Rugby Board. 18 August 2011. Retrieved 18 August 2011.